The Iten-Barmettler Biscuit Company built a new production facility at 4301 North 30th Street in 1936. The world’s largest baking ovens were installed there, and it was a major employer in the community for decades. The factory was later owned by several companies, including Merchants Biscuit Company, Orchard & Wilhelm, and U.S. Mills. This is a history of a company, a building, and North Omaha’s industrial past. Construction on the Iten-Barmettler Biscuit Company built a new production facility at N 30th and Taylor began in 1936. From 1935 to 1940, the Iten-Barmettler Biscuit Company had a large factory in North Omaha. It was September 1935 when the company announced they were going to build a massive modern production plant in North Omaha. Iten-Barmettler, which was incorporated in Delaware, started building the plant in September 1935. Initially employing 200 people, the plant was led by Otto H. Barmettler (1875-1951) of Omaha. Barmettler had been a company manager for the National Baking Company, then worked for Iten Bakery for several years. This fire insurance map shows the Iten-Barmettler Biscuit Company plant in 1938. The Belt Line Railway is immediately south of the plant. Iten’s widow maintained family control of the corporation, and in 1928, supported Barmettler to become president of the Iten Biscuit Company when they merged with the National Baking Company, or NABISCO. In addition to their plant in Omaha, Iten had factories in Clinton, Iowa; Okalahoma City, Oklahoma; and Memphis, Tennessee. Looking southeast towards the Iten-Barmettler Biscuit Company factory in 1936. The Iten-Barmettler Biscuit Company was owned by NABISCO, and the new factory was built under the Iten-Barmettler name. The company hiring prolific local architect James T. Allan (1890-1957) to build their new plant at North 30th and Taylor Streets. The Inland Construction Company was the general contractor. Located next to the Belt Line Railway, which by the 1930s was exclusively for industry, the plant was located near several other industries, as well as the important intersection of North 30th and Ames Avenue. According to an era account, more than 1,000 creosoted pine pilings were used to make the foundation. The most modern machinery was installed in the plant, and the operations were top notch. The company raised more than $300,000 in investments to build the plant. Four acres were included in the land for the plant. This is the completed Iten-Barmettler Biscuit Company factory at N. 30th and Taylor in 1930. Iten-Barmettler Biscuit Company was there for just 5 years. This is the Iten-Barmettler Biscuit Company in 1936. This is a postcard from the Merchant Biscuit Company located at N. 30th and Taylor Streets from 1940 to 1962. The cakes, crackers, cookies, wafers were a serious business, filled with mergers and consolidations, buy-outs and other machinations. 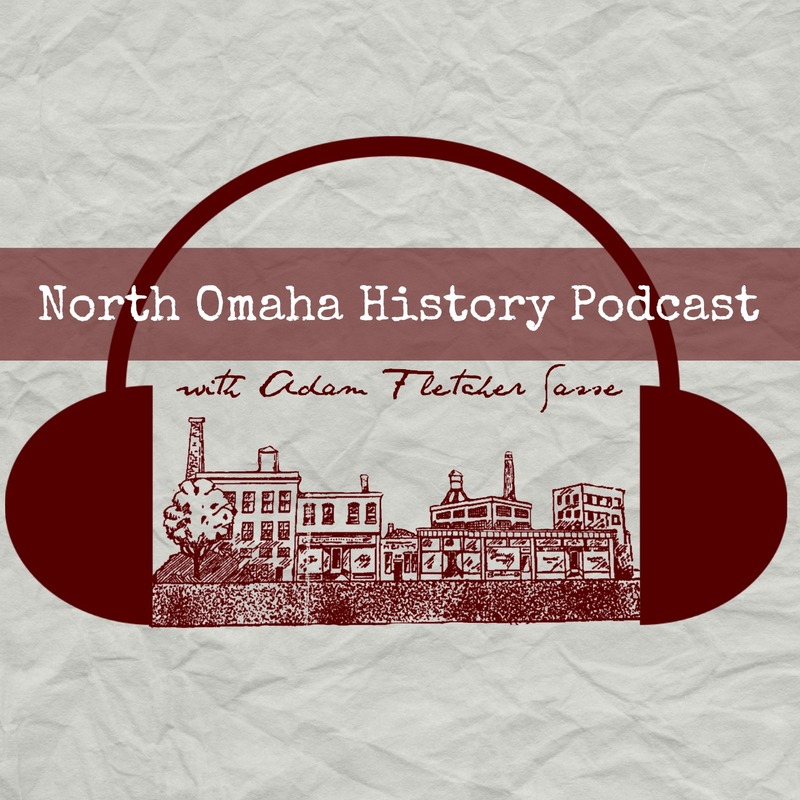 In 1940, the Merchants Biscuit Company bought the North Omaha plant from NABISCO. Merchants, based out of Denver, was determined to make a stake in Omaha. Hiring hundreds of people over the next several decades, they left a lasting mark on the community. The company completed an expansion of the plant in 1948. Designed again by James T. Allan, the 20,000 square foot addition was for shipping and warehousing. It cost $150,000. During this time, Merchants was a subsidiary of the United Biscuit Company of America, which was later known by its primary brand, Keeblers. In 1949, the company built another addition to it’s factory. In February 1949, the first Girl Scouts cookies in the United States were made at the Merchants plant. The company also manufactured a durable biscuit called the “Nebraskit” that was intended for use as a staple of suburban nuclear fallout shelters. For its entire duration, the company fielded baseball, bowling and basketball teams, and participated in a lot of civic activities. It was a contributing neighbor. One of the advantages for the company’s location was being located in such a densely packed industrial area. They often used the area’s workers to taste test their latest products, including cookies and crackers, getting great response from the concrete plant workers, the truck plant workers, the furniture factory workers, the tire plant workers, and others in the area. In my research on Merchants and Iten-Barmettler, I found no mention of labor issues at the plant before 1955. In September of that year, there was a walkout by machinists at the plant related to an overtime arrangement. When the plant dishonored that arrangement, a walkout happened. Within a day though, the president of Merchants announced arbitration between management and the workers. The workers were members of the International Association of Machinists. Merchant Biscuit company was in the factory for 22 years, from 1940 to 1962. The company created a re-employment program, and workers who’d worked at the plant for more than a year qualified for retirement or severance pay. In June of that year, the newspaper announced a committee was formed among the city’s bakeries to employ the people who’d lost their jobs. In 1963, the Mayor’s Committee on Automation and Re-Employment was complimented for its work to retrain workers who lost their jobs at the factory. In December 1962, the former Merchants plant went for sale. Zoned industrial, it was described as a 182,000 square foot, two-story concrete building with three elevators, seven loading docks and two blocks of trackage along the Belt Line, complete with air conditioning in the offices and gas heat throughout. It was priced at $650,000. By 1963, Merchants had built a warehouse in southwest Omaha near the new interstate. This June 1963 pic announces Orchard & Wilhelm’s plans to open their warehouse in North Omaha. That same interstate construction that attracted Merchants to southwest Omaha took the old Orchard and Wilhelm warehouse downtown from that company. With their old building at 5-stories and almost a century old, they looked forward to the new facility. The new space was said to accomodate more trucks for shipping though, as well as provide more trackage for boxcars. The company employed more than 100 people at the warehouse and in the mattress factory. Buying the building in late 1963, the furniture company remodeled the building extensively, including fireproofing the mattress manufacturing section. Orchard and Wilhelm didn’t survive the 1960s though, went out of business just five years later. They were in the facility from 1963 to 1968. Central States Tool and Die Works moved to N. 30th and Taylor in 1969. In 1969, a company at North 30th and Saratoga Streets decided to buy the plant, and moved in March to the facility. The company, called Central States Tool and Die Works, paid $600,000 for the building. Moving from a 24,000 square foot building to the 182,000 square foot building allowed the owner, Ralph Rosnick, to estimate the company would double their production. Its 80 employees made dies and molds for other manufacturers for metal and plastic products. Started in 1948, Rosnick began in a building at North 22nd and Cuming Streets, moving to South 24th in 1951. They moved to 5004 North 30th in 1953. In 1975, the Central States Tool and Die Works went bankrupt. The operations at 30th and Taylor ended, and the building sat empty. In 1978, the City of Omaha considered buying the property to use as offices for the parks department and the health department, as well as maintenance shops, but dropped the idea. This is the original Uncle Sam plant at North 28th and Taylor. They moved from this into the old Merchants Biscuit plant. In 1979, the U.S. Mills bought the plant to move from its old space a few blocks away. The space was intended for expanded operations “for years to come,” and had four times as much space as U.S. Mills’ original plant. In 1999, the U.S. Mills building on North 30th Street was closed by Erewhon, Inc. Located in Needham, Massachusetts, Erewhon took the brand there and continues to operate under the name U.S. Mills. Attune Foods of San Francisco acquired the Uncle Sam Cereal brand name in 2009, and the cereal is still manfactured today. In 2000, the Omaha school district bought the building for $950,000. Workers converted the factory into a temporary school, carving out office space, installing plumbing for new bathrooms and repairing the factory’s roof. Almost immediately, classes from Miller Park and Rosehill Elementary Schools were transferred there while those buildings were renovated. That school renovation work has expanded across the district and is ongoing today, almost 20 years later. The old Iten-Barmettler Biscuit Company building is still being used now, and has good prospects for use in the future. This 1938 model shows a redeveloped southeast corner of N. 30th and Ames, including several businesses that did exist in a plan that was never built. The businesses included the Beacon Theater, Roy L. Decker Grocery, Thorton Cleaners, Masterson’s Clothing, Kenwood Drugs, Gatchell Hardware and Electric, and a bakery. The featured building was the Iten-Barmettler Biscuit Company, finished in 1936. This is an Iten Baking Company crate from the 1920s. Trucks for the Iten-Barmettler Biscuit Company upon completion of their factory at N 30th and Taylor. This is a 1906 advertising card for Iten Bakery in Omaha. It may have been the original ad for the company. Looking north up N 30th from Boyd Street after completion of the Iten-Barmettler Biscuit Company plant in 1937. A few comments (and minor correction) about Orchard and Wilhelm. The store did not close in 1968–it closed in 1971. The beginning of the end was when it was purchased by Carl Renstrom in 1966. At the time I had a summer job there and it was rumored that the reason Renstrom bought the store was to gain control of the 30th street warehouse. This may have been true because one year later he sold Orchard and Wilhelms to Biedermanns, a chain of furniture stores in the St Louis area. This verifies what you wrote that the warehouse was closed in 1968 and sold the following year. Biedermanns closed the store on December 31, 1971 and the Biedermann chain went out of business in 1974. When I worked there during a couple of summers during the late 60s I remember that employees were concerned that Biedermanns did not have the same quality furniture and did not offer the same customer friendly perks, like including a light bulb when lamps were sold so the customer did not have to buy a bulb. John’s widow did not run the operations of Iten Biscuit after his passing. Frank, along with his other brother Louis C. Iten did. Frank and Louis C. Iten sold Iten Biscuit to National Biscuit in 1928. All plant managers were given the option to purchase each factory and only Otto Barmettler took the Omaha, NE factory. Iten brothers actually had the factory built, so it had to be constructed before 1928. My grandparents, Will and Lisa McCaffrey, were friends of the Barmettlers and traveled with them at least one year to California. My grandmother mentioned many times how wonderful Otto Barmettler and his wife were. She told me about their Rolls Royce that stayed in California because it was a little too ostentatious for Omaha. My grandmother’s brother was Otto Liljenstolpe Swanson. He married Christine Swanson and changed his name from Liljenstolpe to Swanson. He and his wife owned Nebraska Clothing Store for many years and he was a king of Ak-Sar-Ben the year my mother was a princess.